Near or far, you’re always on my mind. The tiny sky-colored petals of the forget-me-not speak of the human desire for loyalty and lastingness. 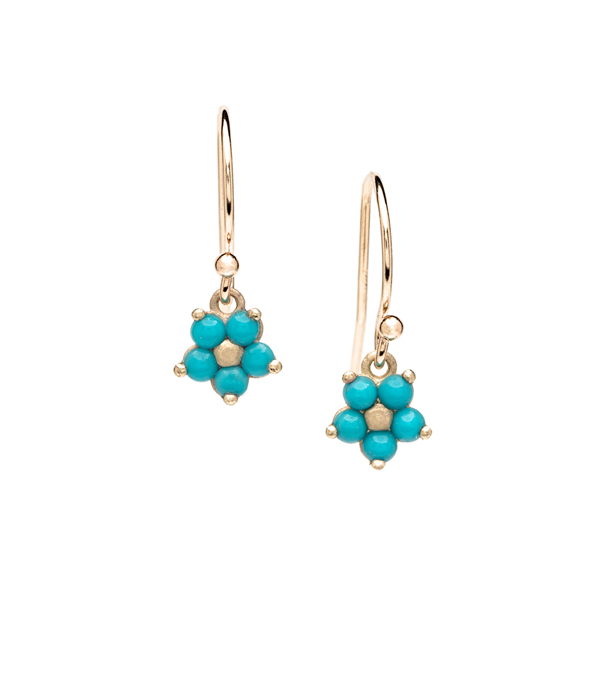 Our 14K matte gold petite and sweet turquoise Forget-Me-Not flowers hang playfully from hand-shaped ear wires. An everyday reminder of those close to your heart . Categories: Earrings, Language of Flowers, Something Blue.